When the Deepwater Horizon oil spill happened over a year ago, Brooklyn resident Tippy Tippens was confronted with horrifying images of the animals caught in its wake. Her background in industrial design couldn’t be further from ocean ecology, but Tippens was determined to help. 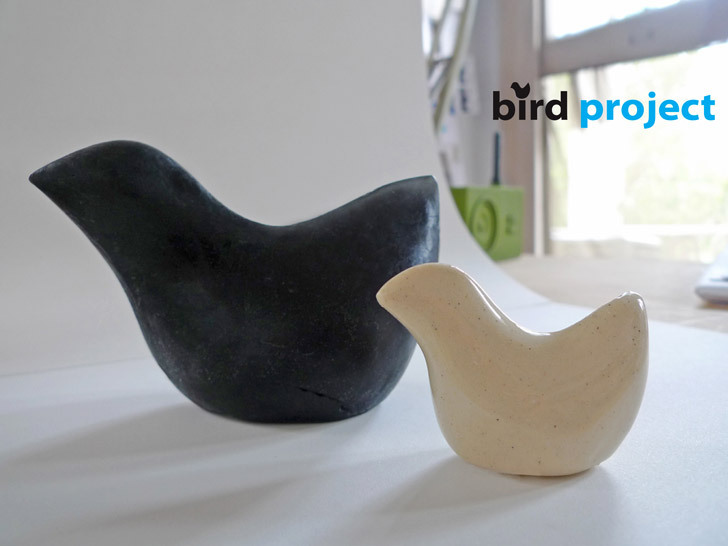 A trip to New Orleans soon birthed BirdProject, a line of soap molded to resemble the worst victims of the disaster. The soap is more than a visual reminder; 50 percent of all profits goes to the Gulf Restoration Network and International Bird Rescue. The symbolism of the soap extends beyond its shape. Intentionally black to represent oil, each bird washes away to reveal a white ceramic version inside. “The white ceramic bird represents hope, and is to remain as a symbol of progress and recovery,” Tippens tells Ecouterre. Intentionally black to represent oil, each one washes away to reveal a white ceramic version inside. To produce the soap, Tippens turned to third-generation soap-maker Sweet Olive Soap Works. Working in partnership with Operation Reach, a national nonprofit that educates youth about biodiesel, the New Orleans company handcrafts the soap from all-natural, locally sourced ingredients, including glycerin (a byproduct of biodiesel), fair-trade olive oil, aloe, activated black charcoal, and cypress to evoke the scent of Louisiana’s bayous. BirdProject led Tippens to found Matter, a social enterprise that creates similar products in support of the New Orleans community. Fifteen months after the leak first sprung, Tippens wants to remind people that cleanup efforts in the Gulf are far from over—and that oil spills continue to occur all over the globe. When the Deepwater Horizon oil spill happened over a year ago, Brooklyn resident Tippy Tippens was confronted with horrifying images of the animals caught in its wake. Her background in industrial design couldn't be further from ocean ecology, but Tippens was determined to help. A trip to New Orleans soon birthed BirdProject, a line of soap molded to resemble the worst victims of the disaster. The soap is more than a visual reminder; 50 percent of all profits goes to the Gulf Restoration Network and International Bird Rescue.